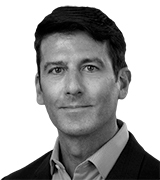 February 25, 2019, 4:30 p.m.
As in-home exercise equipment company Peloton prepares to file for an IPO later this year, new data from YouGov Plan & Track shows that an increasing number of consumers have been hearing positive things about the brand. Since last November, Peloton’s Buzz score — which gauges if US adults are hearing positive or negative things about a particular brand — has risen from +4 to +10. 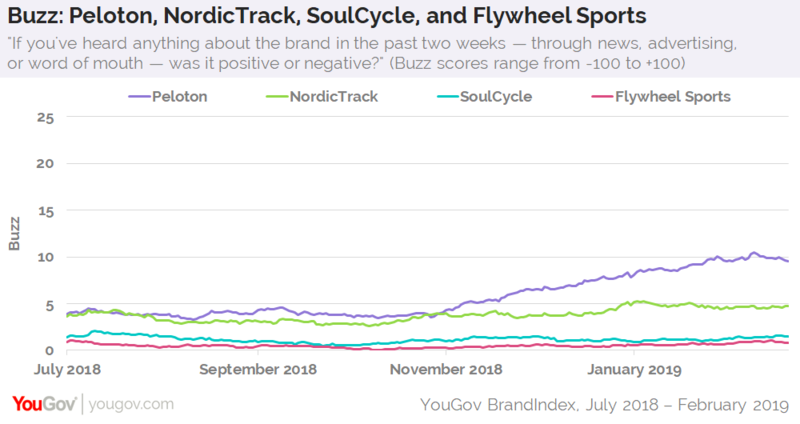 Buzz scores for competitors NordicTrack, SoulCycle, and Flywheel Sports have remained relatively flat throughout the same time period. 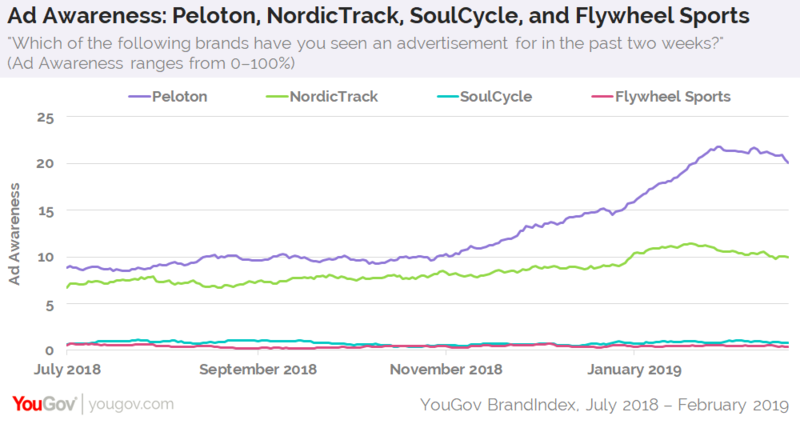 Peloton’s rise in Buzz corresponds with an increase in Ad Awareness, which asks consumers if they recall seeing an advertisement for a certain brand in the past two weeks. On New Year’s Day, the brand launched a spot announcing the Peloton Tread, a high-tech treadmill with a screen that connects to on-demand workout classes. Near the beginning of last November, 10% of US adults said they had recently come across an ad for Peloton. By the end of January, that number had climbed to 22%. As December turned into January, NordicTrack also saw a slight bump in Ad Awareness, but to a much lesser extent. Additional YouGov data reveals that consumers open to buying from Peloton when next in the market for exercise equipment are more likely to be between the ages of 18-49 (60%) than aged 50 or older (40%). Consumers interested in buying from NordicTrack, however, are slightly more likely to be aged 50+ (54%) than 18-49 (46%). Overall, 78% of consumers interested in purchasing exercise equipment from Peloton say working out to stay fit is important to them, compared to 58% of all US adults. Nearly four in five (79%) also say it&apos;s important for them to feel attractive, while the same is true for around two-thirds (65%) of all American consumers aged 18+.